Have a little fun with our Hot Dogs! 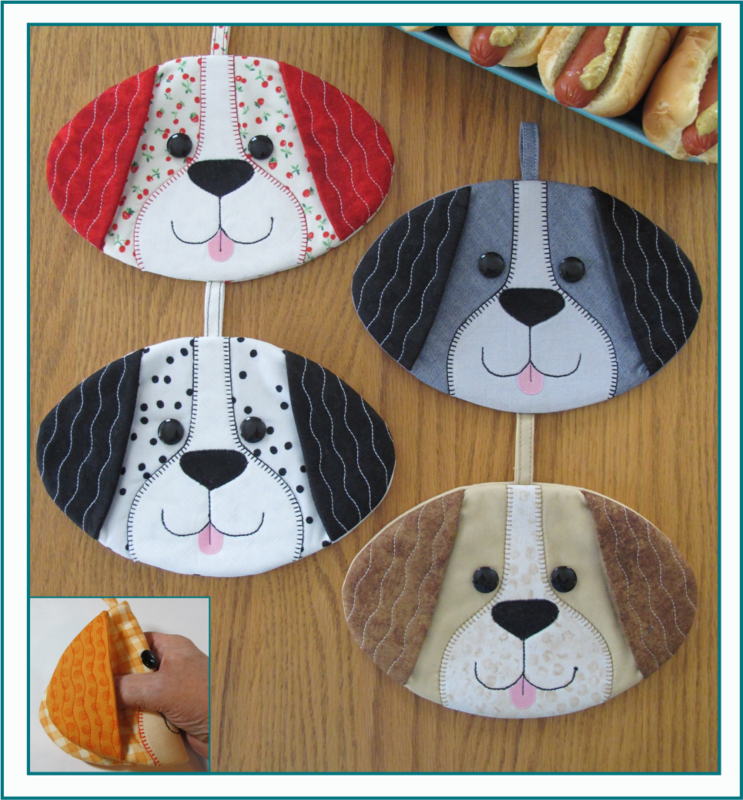 Includes pattern pieces and instructions to sew up some really CUTE Doggie Pot Grabbers/Hot Pads (your fingers slip into the ears). Super Quick & Easy! Approximate finished size 8” x 5½”. Oops!! We omitted ¼ yd of Heat-N-Bond fusible adhesive from the “Material List”. Heat-N-Bond fusible adhesive is used for the Muzzle, Nose and Tongue appliques. It fuses the appliques’ edges flush on the bottom material so that when you machine-stitch the appliques in place they will not move and the edges will not pucker.You can use a temporary spray adhesive or a washable/temporary glue stick instead; just make sure the appliques’ edges are well fused to the bottom fabric so they will not move and the edges will not pucker while stitching appliques in place.